Staff from schools across the region have been learning more about ICT during an annual conference. 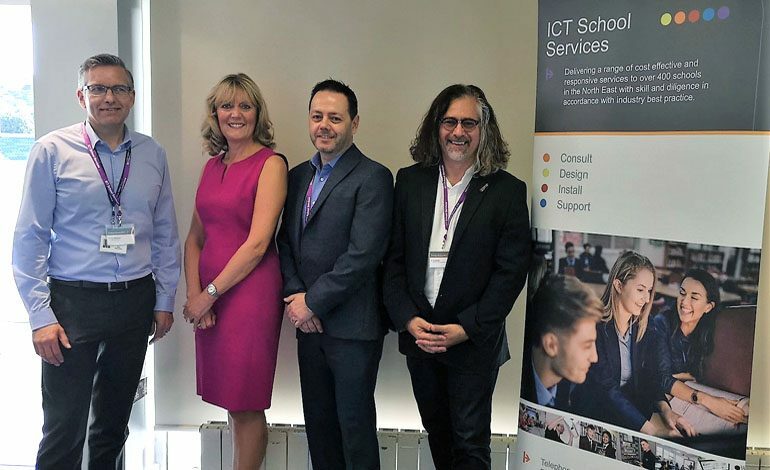 Durham County Council’s ICT School Services hosted the event at Durham County Cricket Club, which gave teachers and other staff the chance to find out more about the latest technology on offer from suppliers and experts in the digital world. Over 100 schools were represented at the free conference, with the keynote speech delivered by Joe Moretti, an Apple Distinguished Educator who helps staff identify which technologies and innovations might work best for them. Cllr Joy Allen, Cabinet member for transformation, said: “It’s wonderful that so many schools took the time out to come to this event which demonstrates their commitment to improving the learning of our students. Attendees were given the chance to find out about free Virtual Reality and Augmented Reality tools, how to use data and analytics in the education sector and how to use Word and PowerPoint to engage students. Lee Hayton, schools manager at Durham County Council, said: “We were really pleased to be back at the cricket club for this year’s conference, which gave schools the chance to see the new technologies available under one roof. To find out more about ICT School Services, visit www.ictservices.durham.gov.uk, email [email protected] or call 03000 261 100.